A phenomenal bluegrass two-fer deal! Genuine spruce top, die-cast tuning machines, nato neck, bound rosewood fretboard, and Martin strings make this dreadnought guitar a marvel for the price. 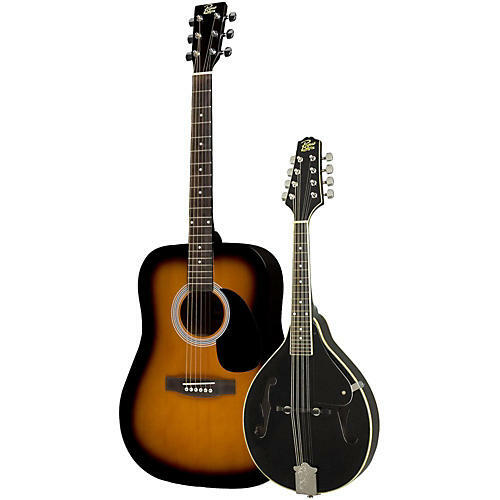 The mandolin delivers authentic tone with a rosewood fingerboard, adjustable compensated bridge, chrome tuners, and sunburst finish. A fantastic gift package or the perfect way to set up your mountain cabin for loads of pickin' and grinnin'! Order today.